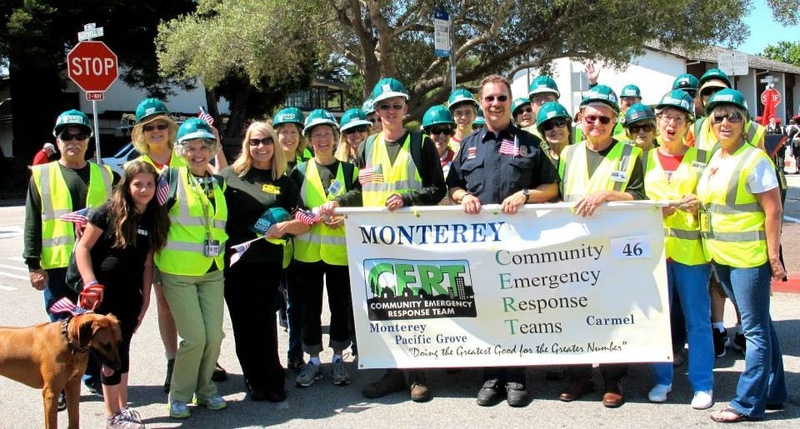 CERV of the Monterey Peninsula participated with Pacific Grove and Monterey CERT team members in Pacific Grove's annual Good Old Days Celebration, marching in Saturday's parade and manning a booth on both days. It was a very successful and fun weekend. We spoke to many interested community members, swapped stories with fellow CERT volunteers, and gave out a lot of informational material. See you there next year!